She's my neighbor it turns out. 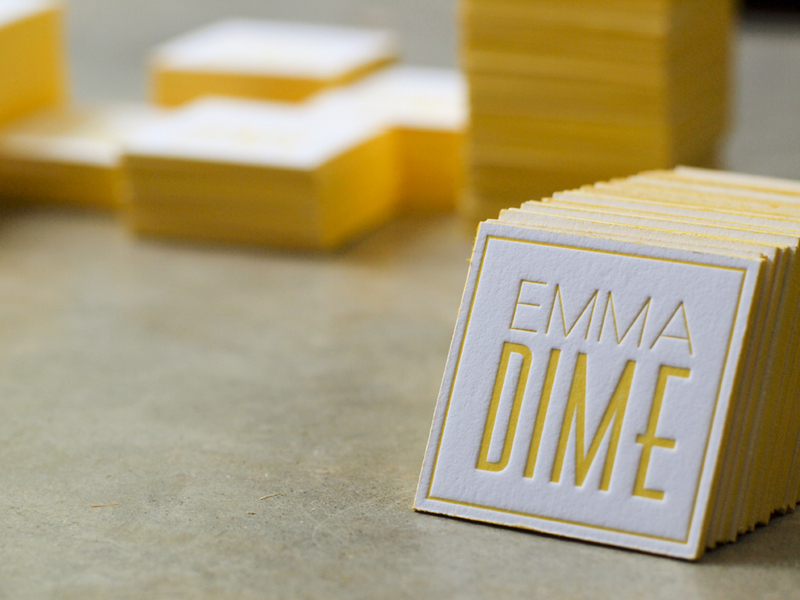 We met on Inker Linker, a hip directory of all the cool kids in the print business. 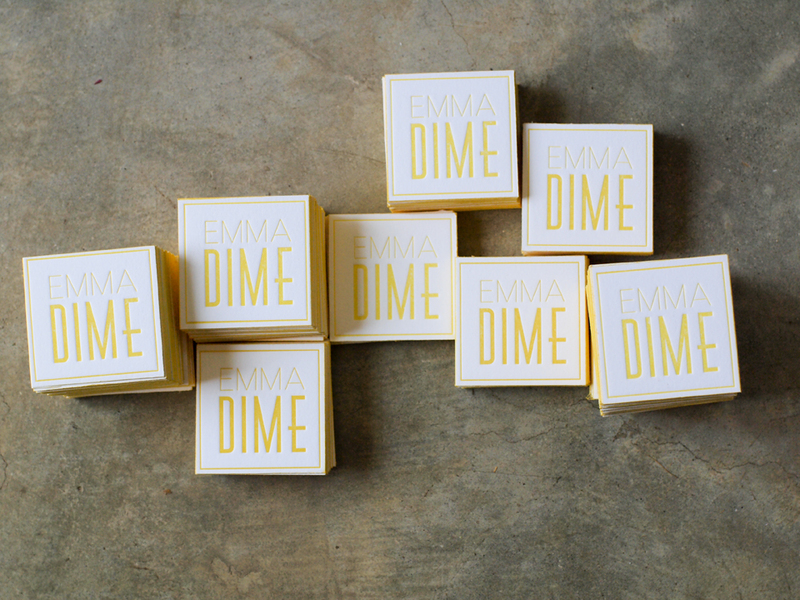 Tastemaker Emma Dime was looking for a local presser and little did she know how local. Turns out we live on the same street. She walked over to take a look at the press and rest is history. Here are here cards on 220 Lettra with painted edges. It seems like there's no info on them but the backside will have her info stamped on. I took care of the front side.